Following the sell-out success of last autumn's Long-Distance Ladies evenings, we're back for more, with a few familiar faces and a few new ones, to talk about racing across continents, sleeping in ditches, riding into the sunrise, and discovering we are capable of more than we ever believed. Come and join us, whether you're an experienced long-distance rider, are thinking about getting into it, or just want to hear some good stories. Jasmijn bought an entry-level road bike in 2011, and quickly carved out an impressive niche in the endurance cycling world, with a solo win at Le Mans 24hr Velo in 2013, the Best British All-Rounder (TT) title in 2014, and winning the National 12hr TT in 2015 and the National 24hr TT in 2017. 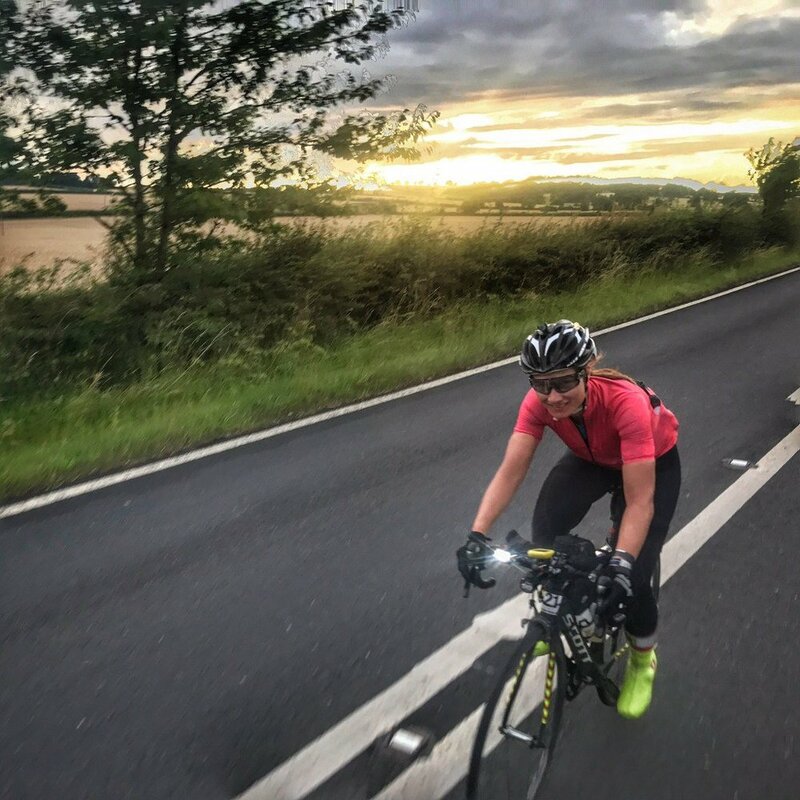 This year she's set a new Zwift distance record of 1,828km, completed London-Edinburgh-London faster than any other woman, and made her first attempt on Lynne Taylor's 52-hour LEJOG record. Shu took up triathlons for fun, but found herself going longer and longer, and spending more and more time on the bike. She somehow ended up as National Ultra-Triathlon champion in a double Ironman, then won a 24hr time trial and a 400-mile race across India, eventually becoming the first British woman to ever finish the 3,000-mile Race Across America. This year she has strayed into the bikepacking world, with a bikepacking trip back from Morocco and an adventure on the Transcontinental Race. Karen came third in this year's Transcontinental Race, but is pretty new to the long-distance cycling game. Until January she had barely ridden further than 200km but she participated in the Adventure Syndicate's winter training camp and caught the long-distance bug! Emily has cycled across several continents and competed in numerous long-distance events. She was the first woman to finish The Transcontinental in 2016, and won the Strathpuffer (a 24-hour mountain bike race) in 2017. Lee raced for Scotland in the 2014 Commonwealth Games and for GB in the World and European Championships, and was UK Fatbike Champion and UK 24-hour Mountain Bike Champion in 2016. She's also ridden in numerous endurance events, including the Highland Trail 550 and the formidable Tour Divide. Judith has ridden farther than almost anyone else alive, and is a veteran of over 100,000km of Audax and randonée brevets, including six PBPs (Paris-Brest-Paris). She will join the very exclusive 300,000-mile club early next year, and is frequently to be seen on UK brevets on a variety of unusual machines, including a Moulton and a tricycle.